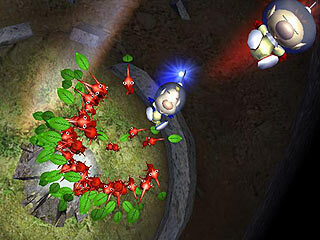 "Captain Olimar has returned to the planet where the Pikmin live, and he's all business this time! 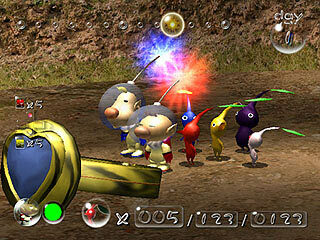 The company he works for is going bankrupt, so to save it, Olimar must salvage the treasure buried all over the planet. 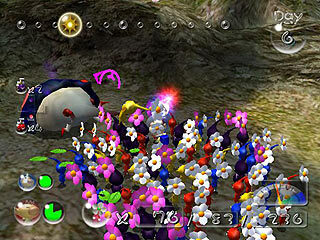 His company's debt is a whopping 10,000 pokos- luckily, Olimar brought an assistant, so if the two of them can delegate their work well, they should be able to erase that debt in no time! 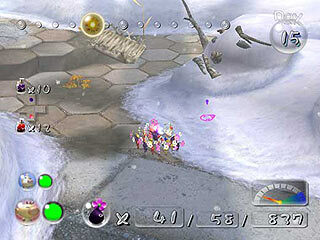 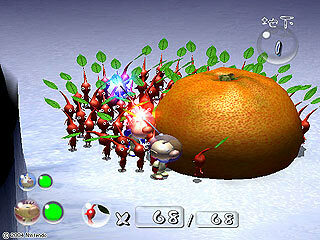 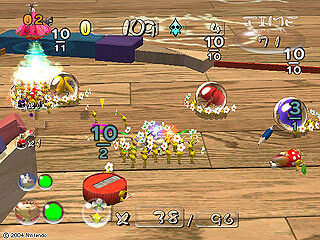 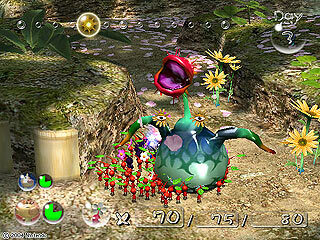 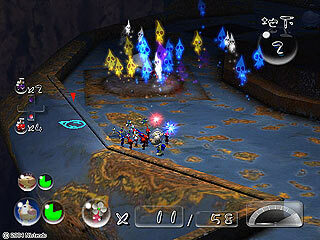 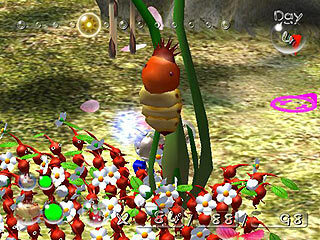 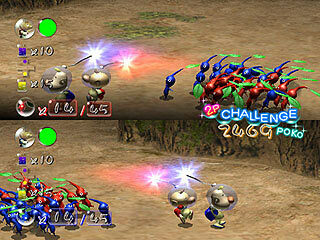 Of course, they'll need the help of the Pikmin to do that-these two can't do anything by themselves. 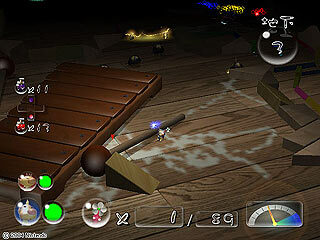 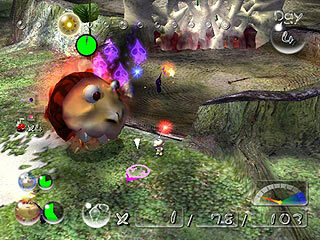 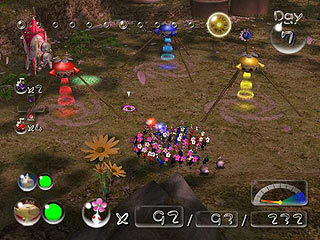 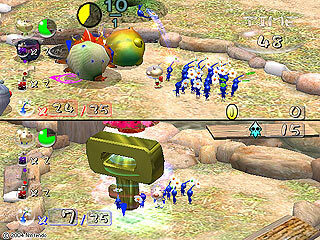 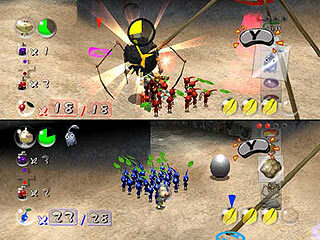 Alternate controlling the main characters-Olimar and his assistant-as you command your Pikmin to defeat enemies, propagate more Pikmin, collect precious doodads, and solve puzzles. 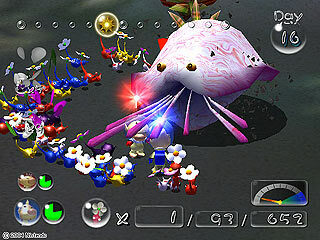 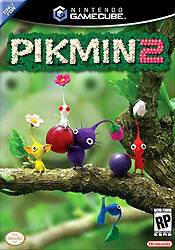 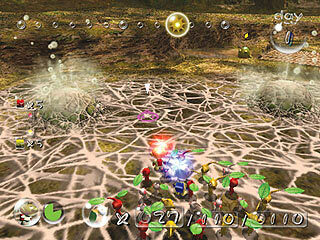 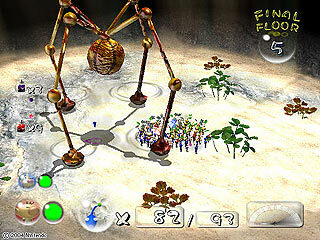 With no time limit, new colors of Pikmin, and two-player cooperative play, Pikmin 2 improves on the original in every way." 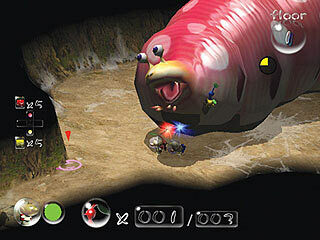 I think this game is one of the best games I have ever played, because most of the games I buy are not as challenging as this one. 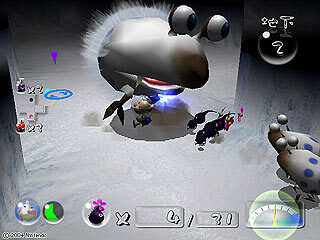 You and your partner have to work together to beat the monsters and repay the debt, the good thing is that you have an unlimited day limit.